I am mile 12. When I found out I was mile 12 I cried. I was humbled to be asked to be mile 12. 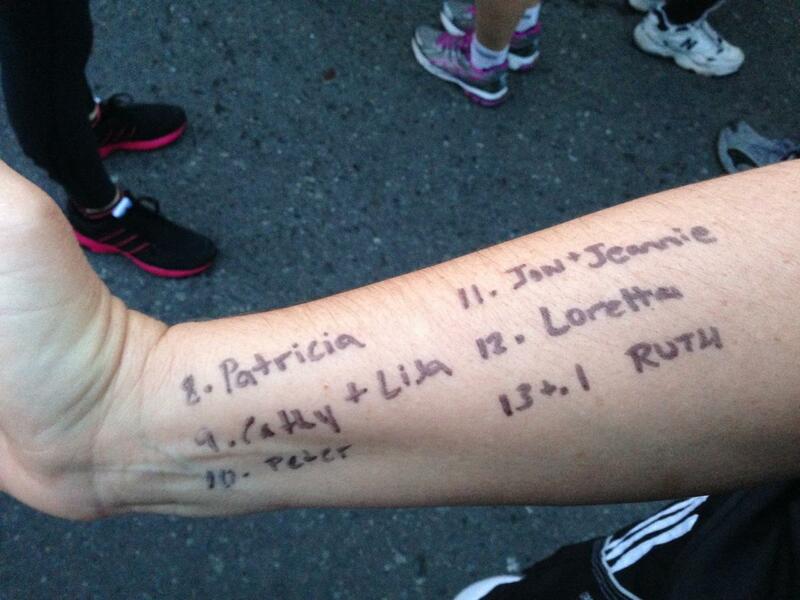 Being mile 12 was suppose to help my friend Nicki but instead I think it helped me even more than it helped her. Why you ask, am I writing about this? I think this is a wonderful idea for anyone going through chemo and/or radiation. A many of you know, before I started treatment I was given a beautiful gift of bracelets, flowers and words of encouragement. I have one bracelet for each week I was having chemo (20) and each radiation session (33). 53 bracelets to remind me of everyone sending me positive thoughts. Well wishes written on slips of colorful paper helping me get through these difficult months. 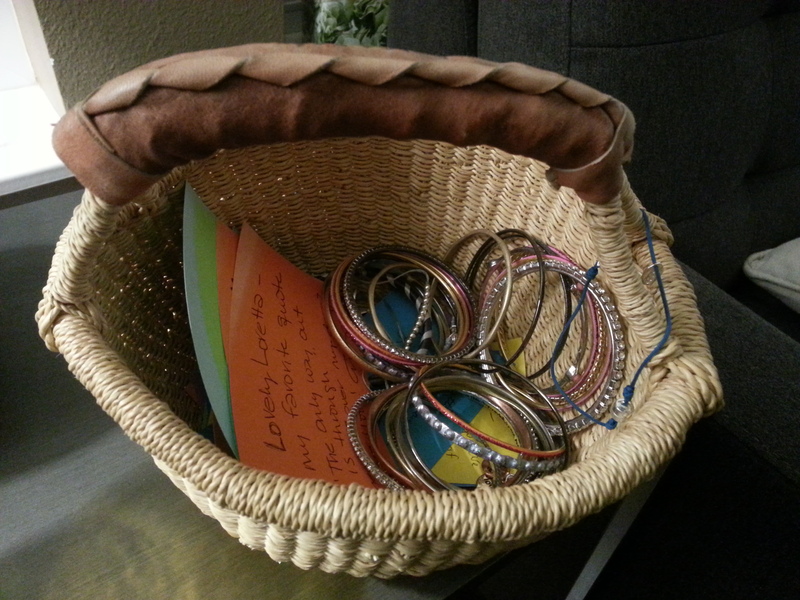 I put the bracelets in a basket that also contains all the words of encouragement. I like to randomly pull one out and read it. The words and the bracelets give me strength. Nicki completed her 1/2 marathon. I am on the way to completing my treatment. Never underestimate the power of positive energy and the love of friends and family. Never hesitate to ask for their help. This entry was posted in Fun Stuff, Thoughts on October 15, 2013 by Loretta Stanton. The last three weeks have been mentally and emotionally difficult. I am not sure why. They just were. I obsessed over the amount of lung being radiated. I cried after the radiation simulation. I had to come up with a couple of “Plan B”s for the house renovation. I was talking with a friend and told her that I sometimes just felt like crying and eating Snickers and Cheetos. On Monday, I had radiation simulation. This is where they position you on the table using the mold that was made a couple of weeks ago. I had to lay in the mold with my arms over my head and not move for about 30 minutes. It was not a pleasant experience. I got another tattoo (this was a surprise as I wasn’t told that it was even a possibility) and the entire area to be radiated was outlined in ink. They really like to draw on you in radiation oncology. X-rays were taken to be sure everything lined up correctly and to double check that the radiation plan was good to go. After the simulation was finished, I was told to look in the mirror at the outlined area so I would know where to put the aloe vera type gel given help with radiation burns. I stood in the dressing room and the reality of my situation got the best of me. I cried. It seemed like an awfully large area. It is a quarter of my torso. There was ink everywhere. 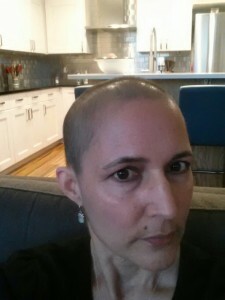 On Tuesday I had my first radiation treatment. 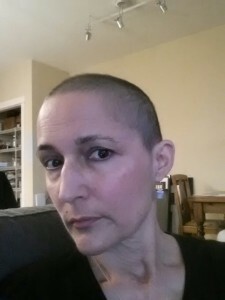 I was able to sit down with the radiation oncologist and discuss my lung obsession. She patiently showed me the cat scan films and we went over each picture. She showed me what was being radiated and the dosage. Yes, a good portion of my lung will be exposed to radiation but only a very small bit will get a large dose of radiation. I am not so much obsessed now. Just mildly concerned. My daughter-in-law, Rachel, was able to go with me. Today I went for the second radiation treatment (only 31 more to go!) My sister, Christine is visiting for a week so she will be my radiation buddy for a while. The house renovation “Plan B”‘s turned out just fine. Sometimes a “Plan B’ is better then the “Plan A.” We now have a toilet in the master bathroom and the tub is almost ready to be moved from our bedroom into it’s proper place in the bathroom. The tile and paint are finished and the vanity top will be installed tomorrow. As to the Snickers and Cheetos… While I did have Cheetos at a dinner party some weeks ago, I have not eaten them since. Also, no Snickers have been purchased or consumed. So that brings us to the peach fuzz. 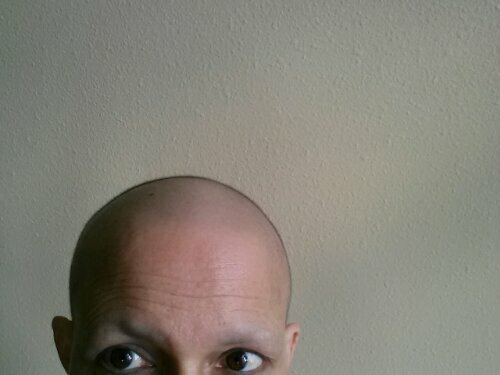 Below is a picture of my current hair style and you can see the fuzz for yourself. This entry was posted in Thoughts on October 2, 2013 by Loretta Stanton.